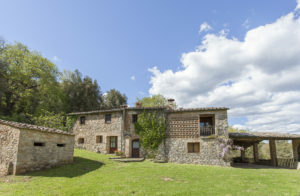 Maine Yoga Adventures is heading to Spannocchia, the perfect place for adventuring into the heart of Tuscany, Italy. 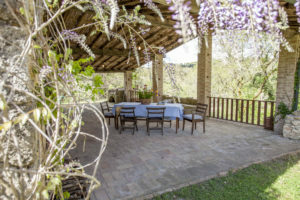 Casetta al Padule will be our private oasis for a full week. MYA will offer breakfasts and dinners to adventurers – we’ll keep our options open for lunches dependent on where our adventuring takes us. Wine tastings! Olive oil tastings! Nature walks! Thermal pools! 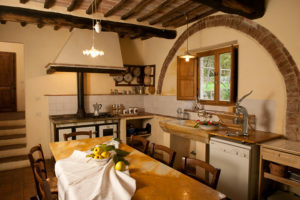 The kitchen will be stocked for preparing delicious Tuscan style meals. A large covered terrace at the back of the house will highlight outdoor dining and gathering. Dinners will be split between the casetta and Spannocchia restaurant for a fully immersive experience. 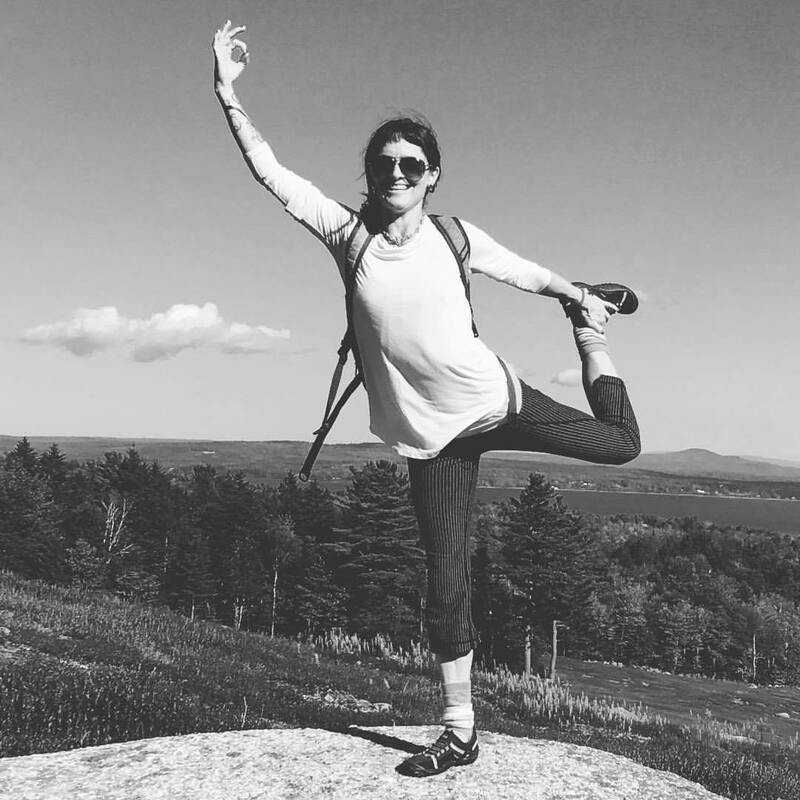 Adventurers will be sure to enjoy yoga every day, an excursion either on or beyond the property, and free time to simply soak in the atmosphere (and soak in the pool!). Our group will have an onsite cooking class as well as a wine tasting. San Galgano: Visit the remarkable circular chapel of Monte Siepi, site of the miraculous sword in the stone of Saint Galgano. A wine bar with outdoor seating and a terrific view of the valley and mountains to the west, holds the perfect spot for a sunset aperitivo. Hot Springs: Relax at Antica Querciolaia thermal spa and Terme di San GIovanni hotel and thermal pools. Indulge in large heated pools – spa treatments are available! Entrance fee is about 15 Euro per adventurer. If we get our timing just right, baths are open late so we can experience thermal baths under the stars! Colle Val d’elsa: Soak in this charming town off the beaten path with an incredible vegetarian restaurant and open air market on Fridays. And very close by is Colombaia, Biodynamic vineyard, a small production vineyard with incredible organic wines. San Gimignano: Climb 15 of the original 72 towers that rise above the skyline for an impressive view of the surrounding countryside. The city developed according to a characteristic star-shaped plan along the ancient via Francigena. Cost: $1,800 before Feb 1; $2,000 after Feb 1. 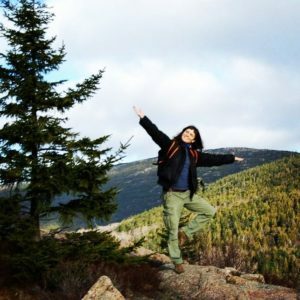 Adventurers can choose to pay $1,000 deposit or pay full adventure cost. The cost does not include the flight (best airport to arrive in close proximity to Spannocchia is Florence – a nice city to explore!) – adventurers should feel free to come early or stay later to add more adventure time in Italy….